4 Jacobite rebellion – "The Forty-Five"
Prince William Augustus, Duke of Cumberland, KG, KB, FRS (26 April 1721 [N.S.] – 31 October 1765), was the third and youngest son of King George II of Great Britain and Ireland and his wife, Caroline of Ansbach. He was Duke of Cumberland from 1726. He is best remembered for his role in putting down the Jacobite Rising at the Battle of Culloden in 1746, which made him immensely popular throughout Britain. He is often referred to by the nickname given to him by his Tory opponents: 'Butcher' Cumberland. Despite his triumph at Culloden, he had a largely unsuccessful military career. Between 1748 and 1755 he attempted to enact a series of army reforms that were resisted by the opposition and by the army itself. Following the Convention of Klosterzeven in 1757, he never again held active military command and switched his attentions to politics and horse racing. William was born in Leicester House, in Leicester Fields (now Leicester Square), Westminster, London, where his parents had moved after his grandfather, George I, accepted the invitation to ascend the British throne. His godparents included the King and Queen in Prussia (his paternal aunt), but they apparently did not take part in person and were presumably represented by proxy. 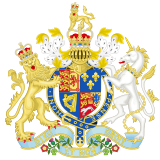 On 27 July 1726, at only five years old, he was created Duke of Cumberland, Marquess of Berkhamstead in the County of Hertford, Earl of Kennington in the County of Surrey, Viscount of Trematon in the County of Cornwall, and Baron of the Isle of Alderney. The young prince was educated well; his mother appointed Edmond Halley as a tutor. Another of his tutors (and occasional proxy for him) was his mother's favourite Andrew Fountaine. At Hampton Court Palace, apartments were designed specially for him by William Kent. William's elder brother Frederick, Prince of Wales, proposed dividing the king's dominions. Frederick would get Britain, while William would get Hanover. This proposal came to nothing. From childhood, he showed physical courage and ability, and became his parents' favourite. He was enrolled in the 2nd Foot Guards and made a Knight of the Bath aged four. He was intended, by the King and Queen, for the office of Lord High Admiral, and, in 1740, he sailed, as a volunteer, in the fleet under the command of Sir John Norris, but he quickly became dissatisfied with the Navy, and, instead secured the post of colonel of the First Regiment of Foot Guards on 20 February 1741. In December 1742, he became a major-general, and, the following year, he first saw active service in Germany. George II and the "martial boy" shared in the glory of the Battle of Dettingen (27 June 1743), where Cumberland was wounded in the leg by a musket ball. After the battle he was made a lieutenant general. The Battle of Fontenoy in 1745 was Cumberland's first battle as commander. In 1745, Cumberland was given the honorary title of Captain-General of the British land forces and in Flanders became Commander-in-Chief of the allied British, Hanoverian, Austrian and Dutch troops despite his inexperience. He initially planned to take the offensive against the French, in a move he hoped would lead to the capture of Paris, but was persuaded by his advisors that this was impossible given the vast numerical superiority of the enemy. As it became clear that the French intention was to take Tournai, Cumberland advanced to the relief of the town, which was besieged by Marshal Saxe. In the resulting Battle of Fontenoy on 11 May 1745, the Allies were defeated by the French. Saxe had picked the battleground on which to confront the British, and filled the nearby woods with French marksmen. Cumberland ignored the threat of the woods when drawing up his battle plans, and instead concentrated on seizing the town of Fontenoy and attacking the main French army nearby. Despite a concerted Anglo-Hanoverian attack on the French centre, which led many to believe the Allies had won, the failure to clear the woods and of the Dutch forces to capture Fontenoy forced Cumberland's force onto the retreat. Following the battle Cumberland was frequently criticised for his tactics, particularly the failure to occupy the woods. In the wake of the battle, Cumberland was forced to retreat to Brussels and was unable to prevent the fall of Ghent, Bruges and Ostend. Jacobite rebellion – "The Forty-Five"
As the leading British general of the day, he was chosen to put a decisive stop to Prince Charles Edward Stuart, a direct descendant of James VII of Scotland and II of England (James VII/II was the last Stuart king on the male line), in the Jacobite rising of 1745. His appointment was popular, and caused morale to soar amongst the public and troops loyal to King George. Recalled from Flanders, Cumberland proceeded with preparations for quelling the Stuart (Jacobite) uprising. The Jacobite army had advanced southwards into England, hoping that English Jacobites would rise and join them. However, after receiving only limited support such as the Manchester Regiment, the followers of Charles decided to withdraw to Scotland. Cumberland joined the Midland army under Ligonier, and began pursuit of the enemy, as the Stuarts retreated northwards from Derby. On reaching Penrith, the advanced portion of his army was repulsed on Clifton Moor in December 1745, and Cumberland became aware that an attempt to overtake the retreating Highlanders would be hopeless. Carlisle was retaken, and he was recalled to London, where preparations were in hand to meet an expected French invasion. 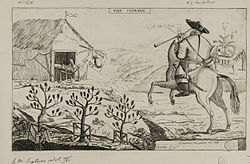 The defeat of his replacement as commander, Henry Hawley, roused the fears of the English people in January 1746, when, under a hail of pistol fire, "eighty dragoons fell dead upon the spot" at Falkirk Muir. Arriving in Edinburgh on 30 January 1746, he at once proceeded in search of Charles. He made a detour to Aberdeen, where he spent some time training the well-equipped forces now under his command for the next stage of the conflict in which they were about to engage. He trained his troops to hold their fire until the enemy came within effective firing range, fire once, and then bayonet the man to the right, thereby catching the enemy under their lifted sword arm. On 8 April 1746, he set out from Aberdeen for Inverness, and, on 16 April, he fought the decisive Battle of Culloden, in which the Stuart forces were completely destroyed. Cumberland ordered his troops to show no quarter against any remaining Jacobite rebels (French Army personnel, including those who were British-or Irish-born, were treated as legitimate combatants). His troops traversed the battlefield and stabbed any of the rebel soldiers who were still alive. When Cumberland learned that a wounded soldier lying at his feet belonged to the opposing cause, he instructed a major to shoot him; when the major (James Wolfe) refused to do so, Cumberland commanded a private soldier to complete the required duty. The British Army then embarked upon the so-called 'pacification' of Jacobite areas of the Highlands. All those the troops believed to be 'rebels' were killed, as were non-combatants; 'rebellious' settlements were burned and livestock was confiscated on a large scale. Over a hundred Jacobites were hanged. Women were imprisoned, and droves of people were sent by ship to London for trial; as the journey took up to 8 months, many of them died on the way. Following Culloden, Cumberland was nicknamed "Sweet William" by his Whig supporters and "The Butcher" by his Tory opponents the latter being a taunt first recorded in the City of London and used for political purposes in England. Cumberland's own brother, the Prince of Wales (who had been refused permission to take a military role on his father's behalf), seems to have encouraged the virulent attacks upon the Duke. Cumberland preserved the strictest discipline in his camp. He was inflexible in the execution of what he deemed to be his duty, without favour to any man. In only a few cases he exercised his influence in favour of clemency. [nb 1] The Duke's victorious efforts were acknowledged by his being voted an income of £25,000 per annum over and above his money from the civil list. A thanksgiving service was held at St Paul's Cathedral, that included the first performance of Handel's oratorio Judas Maccabaeus, composed especially for Cumberland, which contains the anthem "See the Conquering Hero Comes". The Duke took no part in the Flanders campaign of 1746, during which the French made huge advances capturing Brussels and defeating the Allies at Rocoux. In 1747, Cumberland returned to the Continent and he again opposed the still-victorious Marshal Saxe and received a heavy defeat at the Battle of Lauffeld, or Val, near Maastricht, on 2 July 1747. This and the fall of Bergen-op-Zoom compelled the two sides to the negotiating table and in 1748 the Peace of Aix-la-Chapelle was concluded and Cumberland returned home. Cumberland's unpopularity, which had steadily increased since Culloden, interfered greatly with his success in politics, and when the death of the Prince of Wales brought the latter's son, a minor, next in succession to the throne, the Duke was not able to secure for himself the contingent regency. As a compromise, the regency was vested in the Dowager Princess of Wales, who considered him an enemy, but her powers were curtailed and she was to be advised by a committee of twelve men, headed by Cumberland. Whilst in the office of Commander-in-Chief Cumberland attempted to reform the peacetime army with the support of his father. He wished to wrest control over promotions from the government to the army itself and to limit or curtail the practise of purchase. Cumberland further wished to create a special standing force which could be quickly deployed overseas in time of crisis. The Whigs who only tolerated the army's existence in peacetime and only had confidence in their control over the militia, saw the expansion and further professionalisation of the army as absolutist. Critics such as Horace Walpole argued the institution of purchase was one of the safeguards of parliamentary sovereignty against Royalist insurrection. Cumberland's opponent in government Charles Townshend wished to instead further reduce the peacetime army and reform the militia by creating a volunteer force for home defence, a precursor to the volunteers of the 19th century which would be under the direct control of civil authorities. In 1754, the simmering colonial rivalry between Britain and France over competing territorial claims in North America developed into war. France asserted its claim to Ohio Valley by building a network of powerful fortifications. The government ministry led by Newcastle initially proposed a limited military response in which a Highland regiment supported by colonial forces would drive the French from the Ohio Valley. Cumberland believed the plan was not decisive enough to protect British interests in North America and expanded the plan to include a four pronged assault against New France, with forces striking simultaneously at Duquesne, Crown Point, Niagara, and Beauséjour. Cumberland proposed that only overwhelming force would defeat France in America, which was contradictory to Newcastle's own proposals and previous government strategies which advocated limited offensive operations. Further he proposed a role of commander in chief for forces in America, who would have the power to levy local troops and direct local strategy. A 3,500 strong mixed force of regulars, militia, and allied natives would be assembled and would cross the Virginia mountains and strike Duquesne, two regiments drawn from Ireland were given this task. An officer who had impressed Cumberland on previous campaigns, Edward Braddock, was given command of all crown forces in America, to the surprise of many in the army as Braddock was relatively unknown. Newcastle approved the bolder plan, which met with limited success. In his role as army Commander-in-Chief, Cumberland advised on the conduct of the war in North America. He believed the war should be principally conducted by the colonies themselves and that regular troops should only play a supporting role. He was influential in the appointment of Loudoun, another favorite and an officer who had served in Cumberland's army during the Jacobite rebellion. Cumberland advised Loudoun to expose his officers and soldiers to scouting expeditions, so that they might "learn to beat the woods". Cumberland approved the plan to develop light infantry in the British army. In 1757, the war having spread to the continent, Cumberland was placed at the head of the Hanoverian Army of Observation, intended to defend Hanover (of which George II was Elector) from a French invasion. At the Battle of Hastenbeck, near Hamelin, on 26 July 1757, Cumberland's army was defeated by the superior forces of d'Estrées. Despite seemingly having the advantage towards the end of the battle, Cumberland's forces began to retreat. Within a short time discipline had collapsed, and Cumberland's army headed northwards in total disorder. Cumberland hoped that the Royal Navy might bring him reinforcements and supplies which would allow him to regroup and counterattack, but the British mounted an expedition to Rochefort instead, despite suggestions that it should be sent to aid Cumberland. By September 1757 Cumberland and his forces had retreated to the fortified town of Stade on the North Sea coast. The King gave him discretionary powers to negotiate a separate peace. Hemmed in by French forces led by the Duc de Richelieu, Cumberland agreed to the Convention of Klosterzeven, under which his army was to be disbanded and much of Hanover occupied by French forces, at the Zeven Convent on 8 September 1757. On Cumberland's return to London, he was treated badly by his father, despite the fact that he had previously been given permission to negotiate such an agreement. When they met, George II remarked "Here is my son who has ruined me and disgraced himself". In response, Cumberland resigned all the military and public offices he held and retired into private life. Cumberland's final years were lived out during the first years of the reign of his nephew, George III, who acceded to the throne on the death of William's father on 25 October 1760: Cumberland became a very influential advisor to the King and was instrumental in establishing the First Rockingham Ministry. Cabinet meetings were held either at Cumberland Lodge, his home in Windsor, or at Upper Grosvenor Street, his house in London. Cumberland never fully recovered from his wound at Dettingen, and was obese. In August 1760, he suffered a stroke and, on 31 October 1765, he died at his home on Upper Grosvenor Street in London at age 44. He was buried beneath the floor of the nave of the Henry VII Lady Chapel in Westminster Abbey. He died unmarried. The Duke's full style as proclaimed at his funeral by Garter King-of-Arms was: "the [...] most High, most Mighty, and most Illustrious Prince William Augustus, Duke of Cumberland, and Duke of Brunswick and Lunenburgh, Marquess of Berkhamstead, Earl of Kennington, Viscount Trematon, Baron of the Isle of Alderney, Knight of the most Noble Order of the Garter, and First and Principal Companion of the most Honourable Order of the Bath, third Son of His late most Excellent Majesty King George the Second". 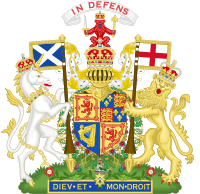 On 20 July 1725, as a grandchild of the sovereign, William was granted use of the arms of the realm, differenced by a label argent of five points, the centre point bearing a cross gules, the first, second, fourth and fifth each bearing a canton gules. On 30 August 1727, as a child of the sovereign, William's difference changed to a label argent of three points, the centre point bearing a cross gules. Prince William County, Virginia is named for him, as well as Cumberland County, Maine and Cumberland County, North Carolina. Various other places in the American colonies were named after him, including the Cumberland River, the Cumberland Gap and the Cumberland Mountains. In 2005 he was selected by the BBC History Magazine as the 18th century's worst Briton. There is a memorial obelisk to the Duke's military services in Windsor Great park. It is inscribed "THIS OBELISK RAISED BY COMMAND OF KING GEORGE THE SECOND COMMEMORATES THE SERVICES OF HIS SON WILLIAM DUKE OF CUMBERLAND THE SUCCESS OF HIS ARMS AND THE GRATITUDE OF HIS FATHER THIS TABLET WAS INSCRIBED BY HIS MAJESTY KING WILLIAM THE FOURTH". According to a local park guide, the obelisk was originally inscribed "Culloden" but Queen Victoria had "Culloden" removed. An equestrian statue of the Duke was erected in London's Cavendish Square in 1770, but was removed in 1868 since by that time the 'butcher of Culloden' was generally reviled. The original plinth remained. Elegy on the much lamented death of His Royal Highness William, Duke of Cumberland..
^ One of these is described in Walter Scott's 1829 introduction to Waverley (1805): "At length Colonel Whitefoord applied to the Duke of Cumberland in person [for a pardon for Alexander Stewart of Invernahyle, whose life Whitefoord had spared at the battle of Preston in 1745]. From him, also, he received a positive refusal. He then limited his request, for the present, to a protection for Stewart's house, wife, children, and property. This was also refused by the Duke; on which Colonel Whitefoord, taking his commission from his bosom, laid it on the table before his Royal Highness with much emotion, and asked permission to retire from the service of a sovereign who did not know how to spare a vanquished enemy. The Duke was struck, and even affected. He bade the Colonel take up his commission, and granted the protection he required." ^ For example, he received an honorary doctorate from the University of Glasgow. "On This Day: 27th of June". University of Glasgow. Retrieved 17 February 2014. ^ MacDonald, Callum (27 December 2005) "Butcher Cumberland among Britain's greatest villains". Glasgow. The Herald. Retrieved 12 October 2013. ^ "Yvonne's Royalty Home Page: Royal Christenings". Users.uniserve.com. Retrieved 21 June 2010. ^ "Yvonne's Royalty: Peerage". Mypage.uniserve.ca. Retrieved 21 June 2010. ^ a b c Gazette 6494. ^ a b c Chisholm 1911, p. 623. ^ a b c d e f g h Chisholm 1911, p. 624. ^ "Clifton skirmish". Paisley Tartan Army. Retrieved 5 May 2012. ^ "The Letters of Horace Walpole, Volume 1 by Horace Walpole Part 15 out of 18". Fullbooks.com. Retrieved 21 June 2010. ^ "Former Chancellors". University of Dublin. Retrieved 5 May 2012. ^ Francois R. Velde. "Marks of Cadency in the British Royal Family". Heraldica.org. Retrieved 21 June 2010. ^ "Commemorating the 275th anniversary of Prince William County, Virginia". Sunlight Foundation. Archived from the original on 17 March 2014. Retrieved 5 May 2012. ^ "Cumberland County, Maine". Archived from the original on 27 April 2012. Retrieved 5 May 2012. ^ "Cumberland County, North Carolina". Retrieved 5 May 2012. ^ "KY-2045 Naming of the Cumberland River". Historical markers. Archived from the original on 11 December 2012. Retrieved 5 May 2012. ^ "VA-K1 Cumberland Gap". Historical markers. Archived from the original on 12 November 2013. Retrieved 5 May 2012. ^ Chisholm 1911b, p. 627. ^ "Cavendish Square Gets Statue Made From Soap". Londonist. 27 June 2012. Retrieved 16 May 2013. Anderson, Fred (2000). Crucible of War: The Seven Years' War and the Fate of Empire in British North America, 1754-1766. Faber and Faber. ISBN 978-0-571-20535-6. Bellesiles, Michael (2003). Arming America: The Origins of a National Gun Culture. Soft Skull Press. ISBN 978-1-932360-07-3. Browning, Reed (1995). The War of the Austrian Succession. Palgrave MacMillan. ISBN 978-0-312-12561-5. Chisholm, Hugh, ed. (1911b). "Cumberland Mountains" . Encyclopædia Britannica. 7 (11th ed.). Cambridge University Press. p. 627. Clee, Nicholas (2011). Eclipse. Black Swan. ISBN 978-0-552-77442-0. Glover, Richard (2008). Peninsular Preparation: The Reform of the British Army 1795-1809. Cambridge University Press. ISBN 978-0-521-08392-8. "No. 6382". The London Gazette. 15 June 1725. p. 2. "No. 6494". The London Gazette. 12 July 1726. p. 1. "No. 8094". The London Gazette. 16 February 1741. p. 2. "No. 8119". The London Gazette. 15 May 1742. p. 1. "No. 8240". The London Gazette. 12 July 1743. p. 4. "No. 8286". The London Gazette. 20 December 1743. p. 2. "No. 8521". The London Gazette. 22 March 1746. p. 2. "No. 10573". The London Gazette. 9–12 November 1765. p. 2. Longmate, Norman (2001). Island Fortress: The Defence of Great Britain, 1603-1945. Pimlico. ISBN 978-0-09-174837-1. Plank, Geoffrey (2003). An Unsettled Conquest: The British Campaign Against the Peoples of Acadia. University of Pennsylvania Press. ISBN 978-0-8122-1869-5. Pollard, Tony (2009). Culloden: The History and Archaeology of the last Clan Battle. Pen & Sword Military. ISBN 978-1-84884-020-1. Rolt, Richard (1767). Historical memoirs of His late Royal Highness William-Augustus, Duke of Cumberland. Sosin, Jack (1957). Louisburg and the Peace of Aix-la-Chapelle, 1748. The William and Mary Quarterly, Third Series, Vol. 14, No. 4. Speck, William (1995). The Butcher: The Duke of Cumberland and the Suppression of the 45. Welsh Academic Press. ISBN 978-1-86057-000-1. Stanhope, Phillip (2002). History of England from the Peace of Utrecht to the Peace of Versailles: 1713–1783: Volume 4: 1748–1763. Adamant Media Corporation. ISBN 978-0-543-67669-6. Stanley, Arthur (2008). Historical memorials of Westminster Abbey. BiblioBazaar. ISBN 978-0-559-69153-9. Tomasson, Katherine (1974). Battles of the '45. Pan Books. Thompson, Arthur (1865). The Victoria history of England: from the landing of Julius Caesar, B.C. 54 to the marriage of H.R.H. Albert Edward Prince of Wales A.D. 1863. Routledge, Warne and Routledge. Thurley, Simon (2003). Hampton Court: A Social and Architectural History. Yale University Press. ISBN 978-0-300-10223-9. Van der Kiste, John (1997). George II and Queen Caroline. Sutton Publishing. ISBN 0-7509-1321-5. Royle, Trevor (2008). Culloden: Scotland's Last Battle and the Forging of the British Empire. Little, Brown. ISBN 978-1-408-70401-1. Davies, John (1938). A King In Toils. L. Drummond. Axelrod, Alan (2008). Blooding at Great Meadows: Young George Washington and the Battle That Shaped the Man. Running Press Book Press. Hall, Richard (2016). Atlantic Politics, Military Strategy and the French and Indian War. Palgrave Macmillan. ISBN 978-3-319-30664-3. Cusick, Ray (2013). Wellington's Rifles: The Origins, Development and Battles of the Rifle Regiments in the Peninsular War and at Waterloo. Pen & Sword Military. ISBN 978-1-781-59287-8. Gallay, Alan (2015). Colonial Wars of North America, 1512-1763 (Routledge Revivals): An Encyclopedia. Pen & Sword Military. ISBN 978-1-138-89108-1. Waldman, Carl (1989). Atlas of the North American Indian. Facts On File Inc. ISBN 978-0-816-02136-9. Tucker, Spencer (1989). The Encyclopedia of North American Indian Wars, 1607-1890 3 Volume Set: A Political, Social, and Military History. ABC-CLIO. ISBN 978-1-851-09697-8. Dilisio, Rock (2008). American Advance: Westward From The French & Indian War. iUniverse. ISBN 978-0-595-52486-0. Grenier, John (2008). The First Way of War: American War Making on the Frontier, 1607–1814. Cambridge University Press. ISBN 978-0-521-73263-5. This article incorporates text from a publication now in the public domain: Chisholm, Hugh, ed. (1911). "Cumberland, William Augustus, Duke of" . Encyclopædia Britannica. 7 (11th ed.). Cambridge University Press. pp. 623–624. Anderson, M.S. (1995). The War of Austrian Succession 1740–1748. Routledge. ISBN 978-1317899211. Henderson, Andrew (1766). A Life of the Duke of Cumberland. Maclachlan, Campbell (1876). William Augustus, Duke of Cumberland. Oates, Jonathan (2008). Sweet William or the Butcher? The Duke of Cumberland and the '45'. Pen & Sword Military. Philipps, Wolfgang (2014). "Welfen-Prinz Wilhelm August: Lieblingssohn und schottisches Hassbild". Lehrter Land & Leute: Magazin zur Geschichte, Kultur und Heimatkunde (in German). 41: 35–37. Whitworth, Rex (1992). William Augustus Duke of Cumberland: A Life. Pen & Sword Books Ltd. ISBN 978-0-85052-354-6. "Archival material relating to Prince William, Duke of Cumberland". UK National Archives.